Edwin Martinez is a Bronx-born filmmaker whose work explores the intersection between people and macro social structures. His work has screened theatrically and on major television, news and streaming outlets. Edwin’s award-winning first feature documentary TO BE HEARD was named a New York Times critics pick and “one of the best documentaries of the year.” His most recent film, IFP Lab supported, PERSONAL STATEMENT premiered as the opening night film of 2018 AFI Docs and broadcast on America ReFramed. 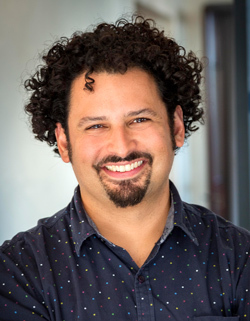 He has also worked as a producer, editor or cinematographer on many feature documentaries including EL EFECTO CLEMENTE (ESPN), LAS MARTHAS (PBS), RACHEL IS (PBS), CITY OF TREES (PBS), and Webby award winning mini series THE MESSY TRUTH. Edwin is a Concordia Studio Arist in Residence and Firelight Media Lab Fellow. He earned a Master’s in Education Policy from the Harvard Graduate School of Education as a Gates Millennium Scholar. He is an Assistant Professor of Film in the SUNY Purchase Film Conservatory and making a film set in post-hurricane Maria Puerto Rico. 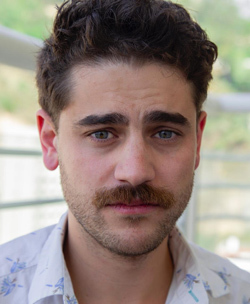 Jamie Gonçalves was a 2018 Sundance Institute Creative Producing Fellow in fiction and Impact Partners Documentary Producers Fellow. He has received support from the Sundance Institute, Venice Biennale, and Points North Institute. Filmmaker Magazine named him one of the 25 New Faces of Independent Film in 2015. He has produced Caballerango (2018 IDFA, True/False), Killing Them Safely (IFC Films, 2015 Tribeca), Balloonfest (Oscilloscope, 2017 Vimeo’s runner-up best documentary), The Water Slide (2018 BAMcinemaFest, Sheffield), Las Nubes (2017 IFFR, Habana), and upcoming works by Nathan Truesdell and Nathan Silver, Juan Pablo González, Ilana Coleman, Kamau Bilal, and Nick Berardini.